Perfect swimming weather is already here, do you still need that pool repair you put off all winter? Well if you want to take advantage of this year’s outdoor season by cooling off in your backyard, it’s now or never! If your pool has been neglected all winter, then it has most likely filled with more leaves then you’d like to admit. If this is the case then this is your first step on the pool repair road to crystal clear water in Clearwater (see what I did there?). While the surface can be skimmed off rather easily, a long poled, bag scoop works best for getting all of the debris that’s settled on the bottom. If there is a large amount of it you can spread it out over your lawn, toss it into nearby flowerbeds, or start a compost pile. Clean your filters before you turn on the pump. 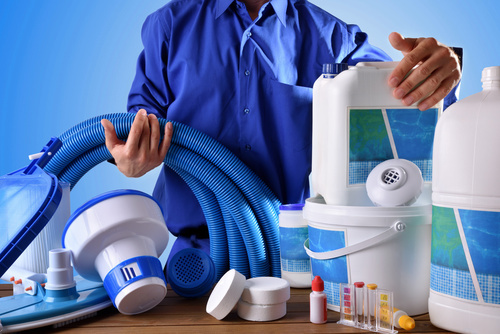 Part of cleaning is making sure your filters and skimmer are cleaned. So you’ll need to pull out any muck that’s gathered there, too. If it’s been more than a few weeks since the last chlorine additive, then it’s more than likely that your Clearwater oasis looks more like a murky lagoon. Now is the time to get rid of all that algae growth. The amount of chlorine needed for your pool is dependent on the size, so check with your local pool shop to learn how much you need. Be careful with the chlorine though, as the concentrated additive is toxic and will easily bleach fabric. If your pump is on the fritz, then it’s time to call in your local Clearwater pool repair company. Without this machinery, your pool becomes stagnant and impossible to keep clean. Have you completed all these steps? If yes, congratulations! Now you’re ready to enjoy summer. Grab a drink and relax! If not, you can always get professional pool repair help with Triangle Pool! Call us at (727) 531-0473 or fill out our online contact form. 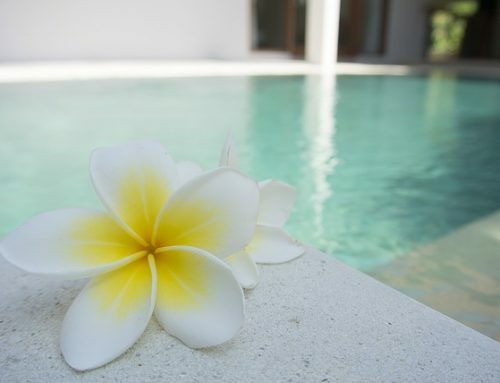 Our commercial pool and spa cleaning services cover everything you need to keep your water feature a beautiful focal point for your business.